Perricone Vitamin C Ester Serum Review: Is This Product Trustworthy? This Perricone Vitamin C Ester Serum review will provide you with the information you need to determine whether or not this brightening skincare treatment can really improve the skin’s overall tone and texture with continued use. In this review, we will be going over every detail you’ll need to know before you decide to purchase a new addition to your skincare routine. We’ll start off by going over the general description of the product above, then we’ll move on the positives and negatives we’ve researched on this product. We’ll then cover the remaining details about the brand, how to use the product, and what we personally think when it comes to whether or not you should purchase this product. Let’s get started! Perricone MD Vitamin C Ester Brightening Serum is quite the multi-tasker. This skincare treatment uses a blend of Vitamin C Ester and Ferulic Acid to brighten and perfect the overall look of your complexion. This nourishing treatment is also perfect for those that want to reverse the appearance of fine lines, wrinkles, and overall dullness. With continued use, you’ll notice your skin appears smoother, more radiant, and more even overall. For best results, apply an even layer of Perricone MD Vitamin C Ester Brightening Serum to your cleansed face and neck. You can use this skincare treatment up to two times per day, during your morning and evening skincare routines. 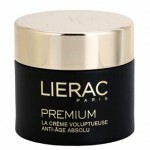 Be sure to follow up with your preferred moisturizer and use an SPF of at least 30 during the day for optimum results. Perricone MD Vitamin C Ester Brightening Serum retails for $105.00 per 1.0 fl. oz. 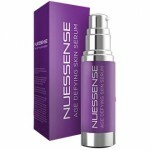 of product on several very well known skincare retailer websites. 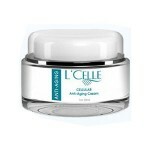 Vitamin C Ester: This skincare ingredient brightens the skin and improves the skin’s texture. Tocotrienols: This ingredient soothes and conditions the skin. 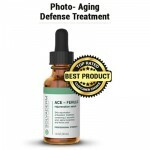 Ferulic Acid: This ingredient infuses the skin with antioxidants. 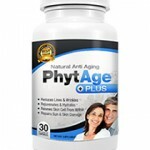 Sodium Hyaluronate: This keeps the skin hydrated, plump and soft for long. However, it may also result to redness and itching. 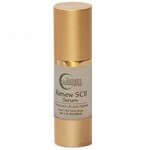 This skincare treatment diminishes the appearance of fine lines and wrinkles. However, according to customer reviews, it isn’t very effective. 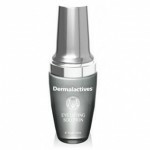 This product brightens the complexion and evens out the skin’s tone and texture. This skincare treatment is prohibitively expensive. Customers with acne prone skin claim this product caused bumps and breakouts to appear. This skincare treatment contains palm oil, which is an oft-avoided ingredient due to its negative impact on the environment. Perricone MD Vitamin C Ester Brightening Serum claims that it can brighten and even out the skin’s tone and improve the overall texture of your skin by diminishing the look of fine lines and wrinkles. Although this may sound like the perfect skincare treatment for your sun-damaged skin, there are several issues we think you should consider before purchasing. 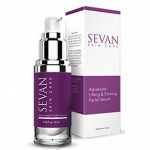 This serum is prohibitively expensive, especially considering the fact that you only get 1 fl. oz. of product! Additionally, customers do not appear to be too impressed with their results. Those with oily or acne-prone skin claim this product worsened the condition of their skin and actually made the texture more apparent. Perricone MD Vitamin C Ester Brightening Serum is available on several very well known skincare retailer websites. These sites have quite reasonable return policies. If, for any reason, you’re unhappy with your purchase, simply return it within 30 days for a full refund. Be sure to include proof of purchase with your return.